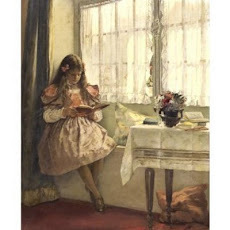 My blog friend, Chareen, posts these really interesting posts on Tuesdays, to show case treasures (books!!) she's unearthed - love those posts. I do enjoy reading along with what others have found and to that end decided to create this random post about a few second hand book treasures we recently discovered. 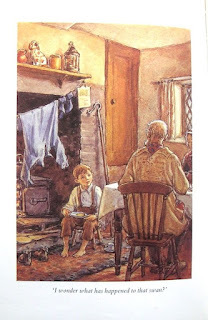 When Susan's father goes away to sea he believes that he is leaving his child in the care of a kind old lady, but he is sadly decieved. Dame Dinnage treats Susan in true Cinderella type fashion and then the old lady removes her from the beloved Rushie banks to live in an attic in the city. 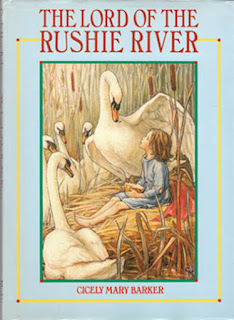 Susan is rescued by her faithful swan friend, Lord of the Rushie River. 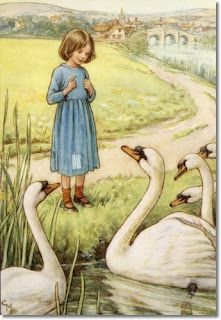 She lives with the swan family until her father finally returns. 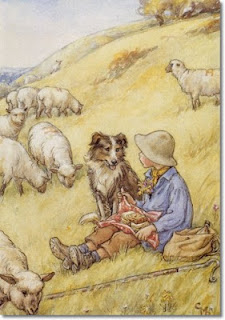 The illustrations, in true Cicely Mary Barker style, are delicately exquisite. A mother swan is watching her children and wondering which of them will take after her strong, clever husband, the Lord of the Rushie River. 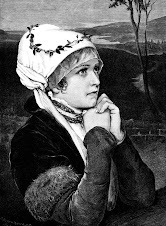 Not Simon, she concludes, but Simon is determined to prove her wrong. He decides he will see the world and in addition to that rash decision imagines he'll come back a fine, big - and famous -swan. 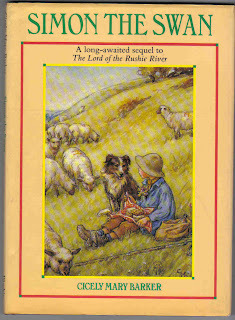 Simon's brave adventure nearly ends on tradgedy, but then a young shepherd boy comes to his rescue and, taking some risks of his own on the way, tries to bring about a reconciliation between the impetuous swan and his proud father. The picture on the cover of Simon the Swan was what initially caught my eye, and then look at an example, below, of the delightful art work inside. Both of these books have a great collection of pictures that Daisy and I will just love to pause and ponder over together. I've popped them into her book basket for us to enjoy when she chooses. 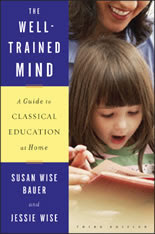 As an additional comment we first stumbled across the recommendation to Cicely Mary Barkers books when we were just starting our home educating journey, and looking for *more* good books to share with our children. 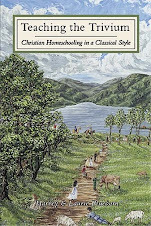 Here was one of the book listing sites, that encouraged me to try to find a copy of Barker's work. Namely anything that had some detail in it about The Complete Book of Flower Fairies. Thank you for the kind words. Love the look of these books. Will have to look for them here. The pictures look gorgeous. PS The Christmas stories of Charles Dickens is currently for free on Amazon for the Kindle. Currently for FREE on Amazon Kindle. Thanks Chareen for sharing this kindle treasure with us. You've really made my day!